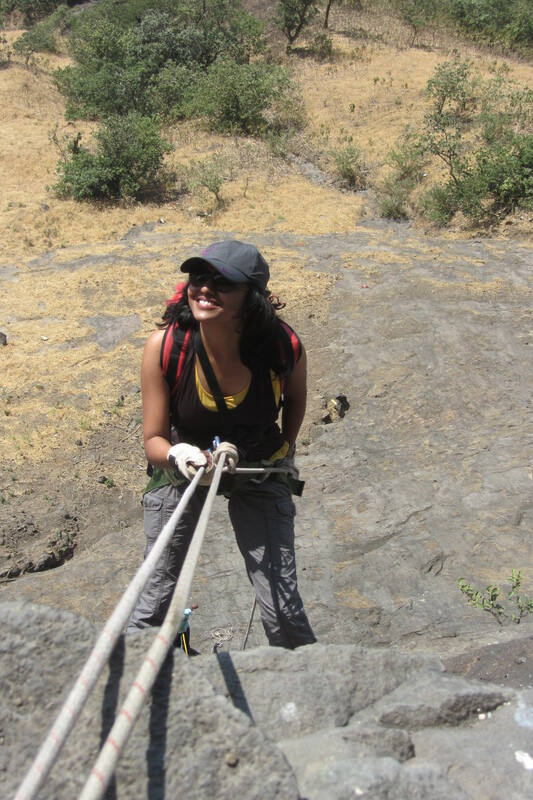 While trekking down through Vasota, we heard about the next trek to Dhak Bahiri where we would get to do some rappelling! We loved the idea and so we signed up. 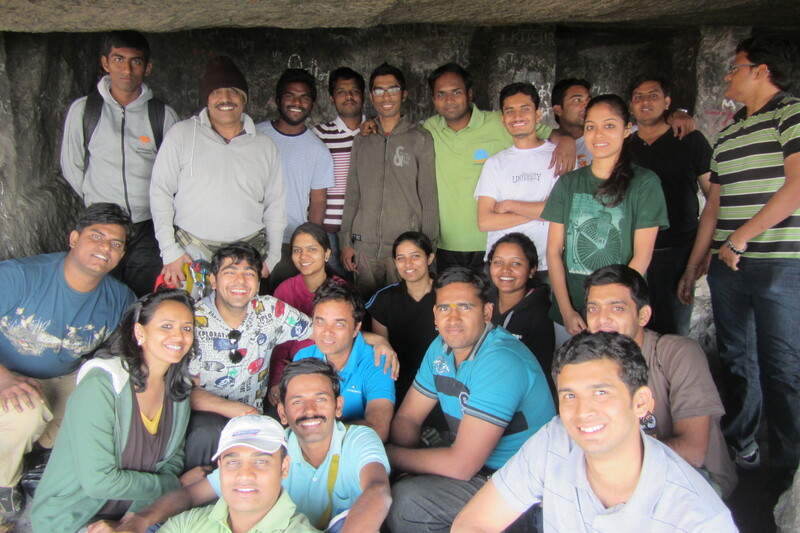 We took a train with a group of around 14-16 to Kamshet. 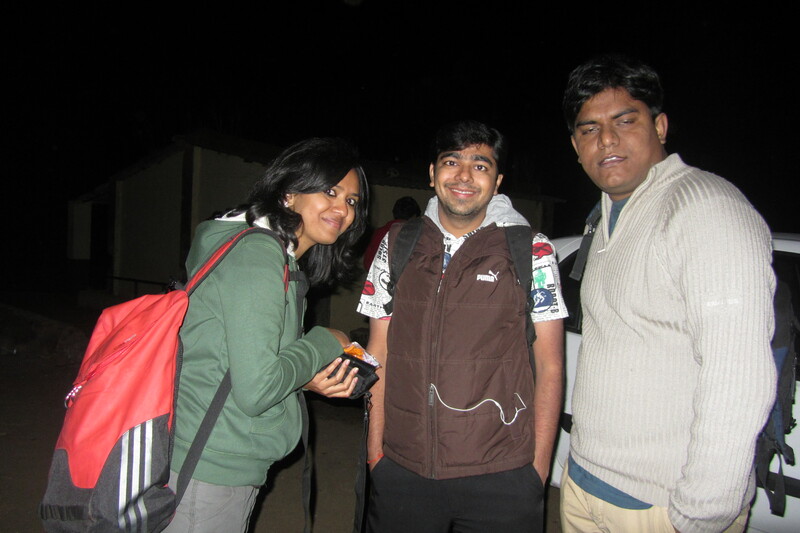 There were 2 Innovas waiting for us to take us to the base camp which was about 25 kms from Kamshet station. This village is called Zhambivalli. We reached at around 12 in the night and the Village Mukhiya had allowed us to sleep in his cow shed. I mean, he has his cows as soon as you enter his main door and then there is this raised platform made of stone. You go further inside and there you have the rooms, kitchen etc. So here we were. 5 girls (Boys had to sleep in a temple which had no walls. Only roof. And the temperature that night would have been 7 or 8 degree Celsius) trying to sleep on a stone with very little bedding and even less blankets. None of us slept a wink. We just couldn’t. We tossed and turned and tried to sleep. When the team lead woke us up at 4:00 AM none of us requested for 10 more minutes of sleep. We all got up immediately! There was a village tap in front of the Mukhiya’s house which we used to freshen up. And by about 430 AM, we started trekking with torch lights, jackets to keep us warm (was used for about 15 minutes, then we were sweating) and our rug sacks/bags. Apparently, girls are not allowed to go up to the cave. The villagers don’t allow. So we sneaked up before sunrise 🙂 We had to reach the peak before sunrise and we almost managed to. Then the excitement started when there were horizontal rocks which we had to cross by leaning on the rock. Leaning backwards wasn’t an option due to the valley (the bottom of which we couldn’t see). I met this girl called Aishwarya who has trekked maybe over 50-60 mountains including the Himalayas. Inspiring!! We talked throughout the rock climbing session. There is one portion where you have a bamboo stick with slight protrusion that act as steps. The bamboo stick is vertical and if you slip you fall at least about 500 meters into the valley. The team leads were there instructing, but that thought surely crosses your mind. What if I trip. What if I fall!!! We reached the cave where we cooked breakfast for the group. The tasks were divided. We cut the onions, green chillies and coriander leaves (Guess what we made… Poha :p ) And the men made fire and cooked. We took a nap in the cave. The rocks were cozy and my bag pack acted as a perfect pillow. The group started rappelling down. Girls were asked to rappel down in the end as it’s more pleasant in the caves than down under in the sun. I was the last one to rappel (The explorers came after me of course). While walking back, it was about 12-1 in the afternoon, super-hot with the sun on our head. I tried to walk with Anand, the head of Explorers and kinda learn how to walk at his speed. At Zhambivalli, we changed into clean, non-sweaty clothes and had our lunch cooked at the Mukhiya’s house. Some amazing Jowar Rotis with vegetables and Dal-Rice. Then we slept under the Village Banyan Tree for a bit. We chatted for a bit with some tea and headed back to Kamshet Station. What did we do on our journey back? Played Antakshari and Dumb Charades of-course. 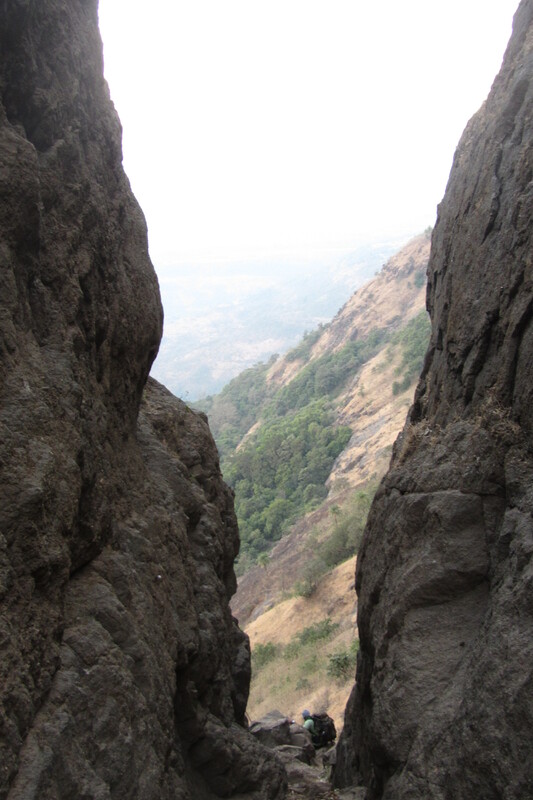 Posted in TreksTagged Adventure, Climbing, Dhak Bahiri, Explorers, Hiking, Holiday, India, Kamshet, Maharashtra, Mountains, Nature Trail, Places around Pune, Pune, Rappelling, Rock Climbing, Sahyadri, Sahyadris, Travel, Trek, Treks, Weekend Getaway, Western GhatsBookmark the permalink. 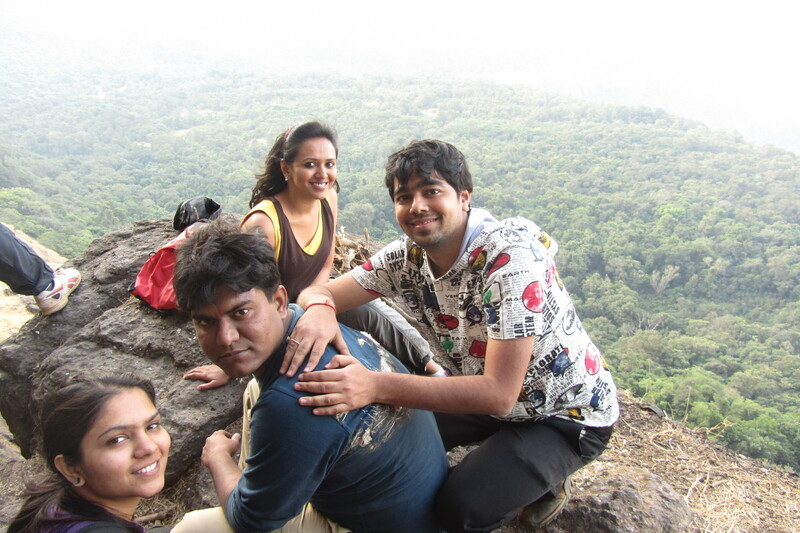 Awesome description and wonderful pics, but I have a query..
U guys did this trek in March?? Under such hot conditions?? Hi Yogi. No, we did this trek in Jan. I wrote about it a little later. But that’s a good thought. I will update my blogs with trek dates henceforth. Thanks! Hi! Thanks for the wonderful description and information. Do you intend to organise a trek to Dhak Bahiri this monsoon? My wife and I would like to go there, but we’re not sure how prepared we are for the rock climb. Is it necessary to carry ropes, or can we ascend the rock face without climbing equipment? 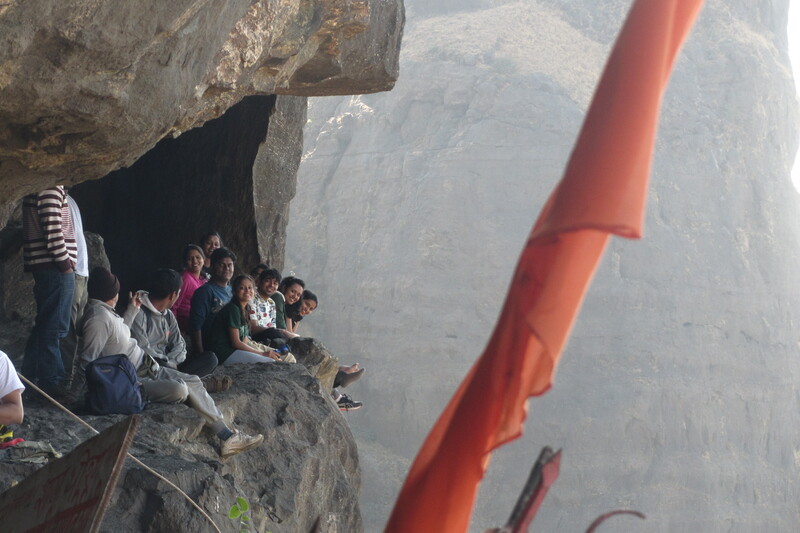 I went on this trek with a group called explorers (Anand/Sunil – 9850506622). They organise everything so we did not really have to worry about it. Ropes are required for Dhak Bahiri as far as my knowledge goes but we did see a few brave hearts trekking without any ropes. The difficulty level of this trek is moderate. Thanks a lot. Will get in touch with Anand/Sunil. Nostalgic! Did this trek as a teenager and then went there many times. Remains one of my all time favorites. Sad to know that they don’t allow girls these days. Anyways thanks for making me go down memory lane.